Though the new Blogger has made loading blogs faster, I guess it still has a little more way to go to be handle multiple requests for a page. This is most evident when you're trying to test a new design or a hack, which requires you to constantly preview and reload a page. I don't think is inherently a Blogger problem, because I noticed that requests to Googlepages (my choice file host) were taking long to get completed as well. As I write this, blog feeds have taken a hit. I don't see them on any blogI've checked Phydeaux3, Blogger Hacked, Hackosphere and my blog -- blogs which rely on feeds..
Atleast, the server doesn't refuse connections if you overshoot their requests per minute/hour/whatever barrier. It just slows down, which is a more desirable result than a downtime! But then again, it can't take too much server load if you're just having to serve text. As far as I know, all our post content is stored in a database, and is injected into our template by a faster (with bigger capacity?) server and shown to us when the page is requested. It can still get on my nerves when I need to go to bed but the pages won't load fast enough so that I can add that final touch to the CSS or code. Is Google really ready for a GDrive any time in the near future? I doubt it. 1-Feb (7:49PM IST) Update: The feeds are still being a little moody, but they're slowly starting to reveal themselves. 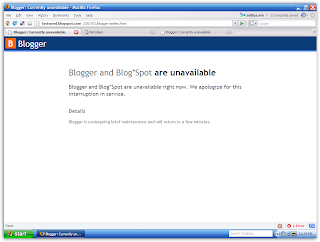 As Deepak points out in the comments, the Blogger Help Group is flooded with people posting encounters with a 502 server error page. I've managed to avoid it till now, but it sure can't be good. But it's good everything is back! I was about to comment on your blog about the feed problem. 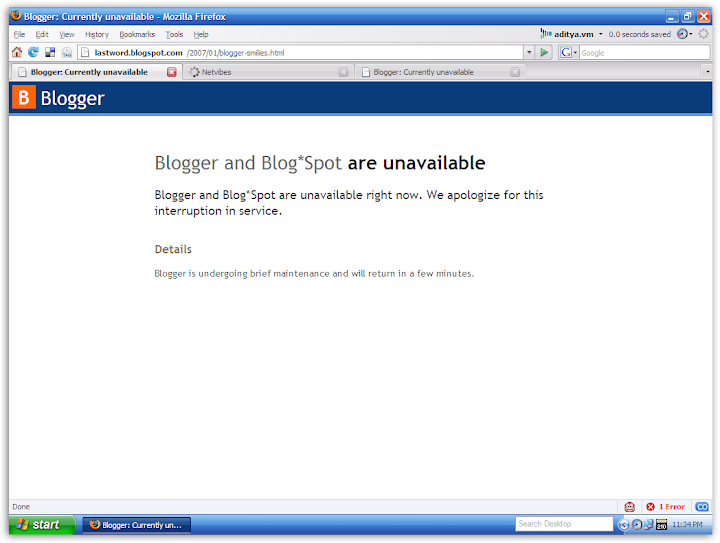 Blogger's Status page is also seeing unpredictable outages (it didn't show an hour ago, but showed up 10 mins ago). Floods of posts saying blogs are not accessible. Most are getting 502 Errors. My blogs were okay and then the old 502 popped up for a while. Unlike a lot of people I didn't run to the help group and post my woes in every group - thus "helping" Google's servers even more. "thus "helping" Google's servers even more."